30+ page report with detailed product analysis, market segmentation, and commentary for executives. 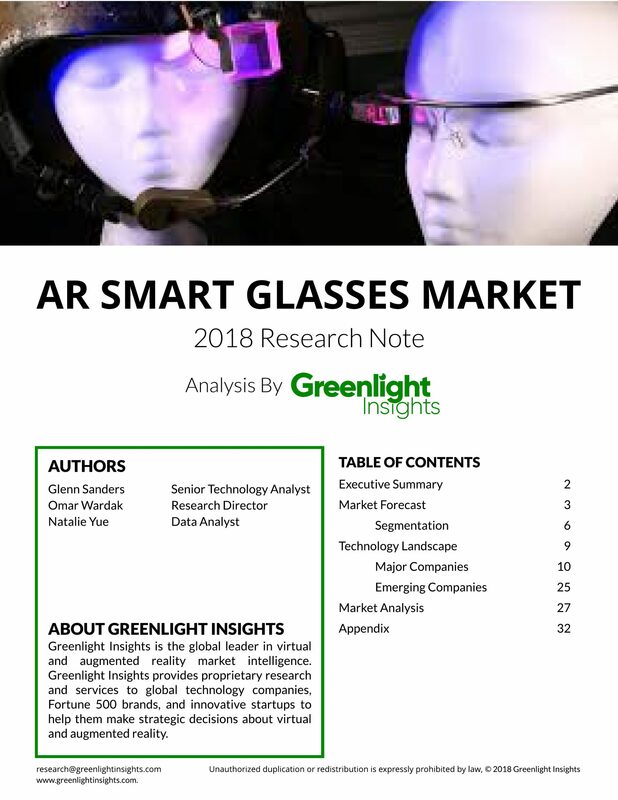 This study examines the smart glasses market segments for use by consumers and enterprise firms. Insights are provided for each device type with the enterprise business in mind, highlighting market opportunities, obstacles for integration and application development, and innovative vendors to watch.